Domo Tactical Communications (DTC), a developer of specialist wireless communications technologies, has announced the launch of its new Special Role Radio (SRR) at the Security and Policing 2018 trade show. The SRR is designed to meet the requirements of Tactical and Special Operations applications where robust encrypted, tactical mobile communication links are needed to provide enhanced situational awareness. The SRR utilises the DTC COFDM waveform to provide High Bandwidth data, video and audio in challenging, dynamic, Non-Line of Sight (NLOS) environments. 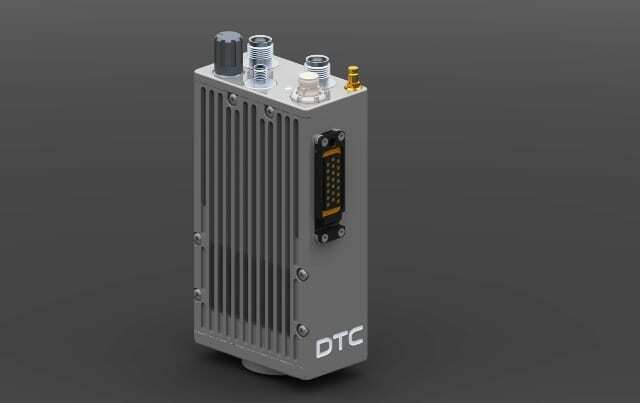 The Special Role Radio joins DTC’s versatile family of IP Mesh and point-to-point (P2P) COFDM radios designed to meet the requirements of a diverse range of surveillance and battlefield applications such as unmanned aerial vehicles (UAVs) and other robotic systems. It combines a familiar “Personal Role Radio” physical form factor, robust construction and simplified user interface with the ability to use industry standard battery packs, chargers and webbing pouches. Based-on DTC’s SOL8 Software Defined Radio (SDR), the SRR is equally at home operating as a Tactical Mobile Adhoc Network (MANET) IP Mesh node, a P2P COFDM Transmitter or a P2P receiver streaming video to a tablet PC. The SRR also offers dual on-board HD-capable video encoders and support for a variety of different camera interfaces, including HDMI, to stream live video in an operational environment. The radio also features an “open mic” full duplex audio channel, in-built GPS receiver and on board SD card as well as 2W of output power providing extended range and penetration in RF hostile environments.